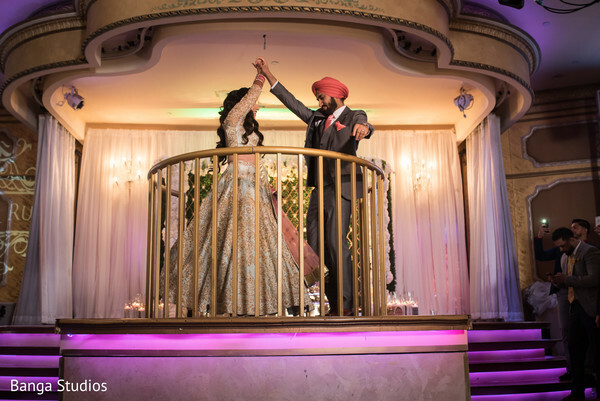 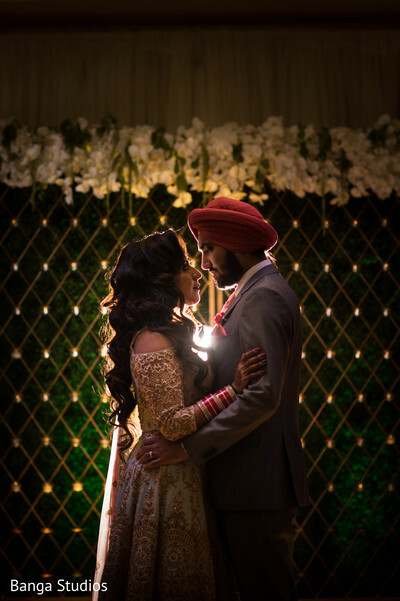 The gorgeous ceremony wrapped up with a fabulous reception at the elegant Elite Palace Queens where the new Mr. and Mrs. offered a big banquet served by Benares Restaurant & Catering to honor their special day! 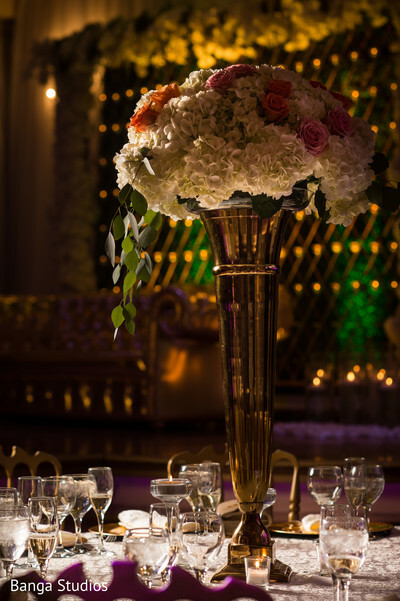 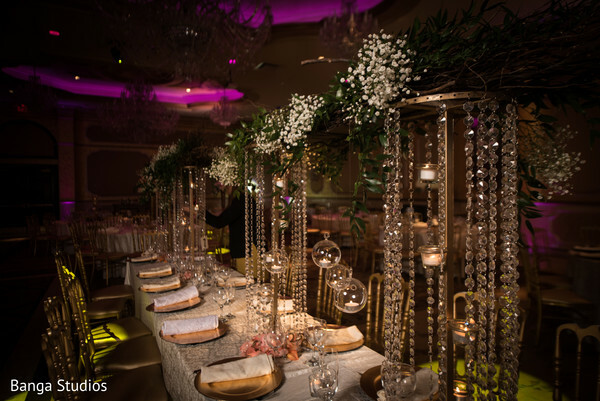 KM Events Management was the experienced wedding planning team responsible for organizing all the details and vendors, meanwhile, Florista Decor executed all the dramatic décor for the post-ceremony celebration! 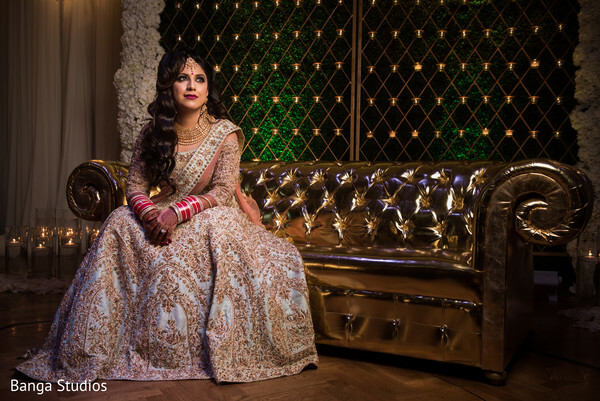 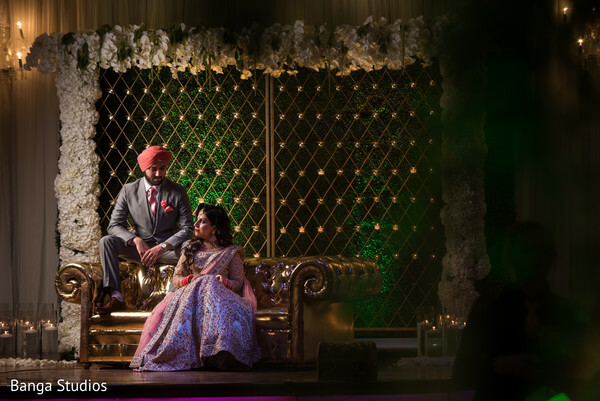 Ruby and Harman seated in a shiny sofa displayed in the most dreamy stage, that completely drenched with a luxe vibe. 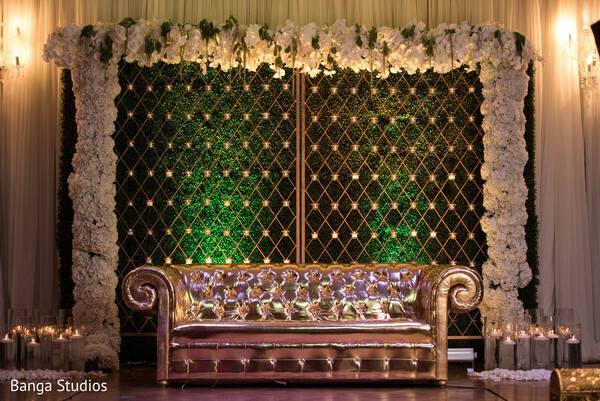 A beautiful floral arch and a majestic backdrop framed the images that Banga Studios captured of the newlyweds! 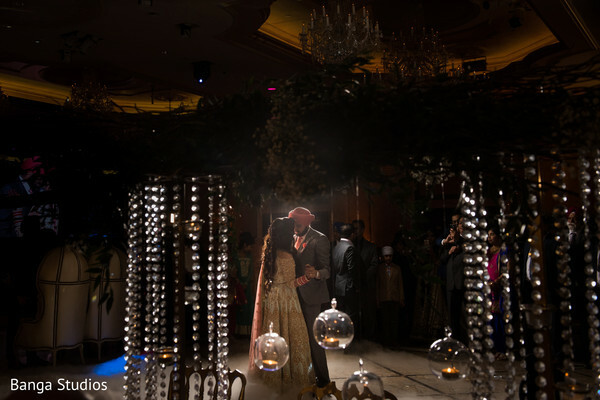 The amazing music of DJ Raj Minocha enliven the night and allowed them to have the most magical first dance ever. 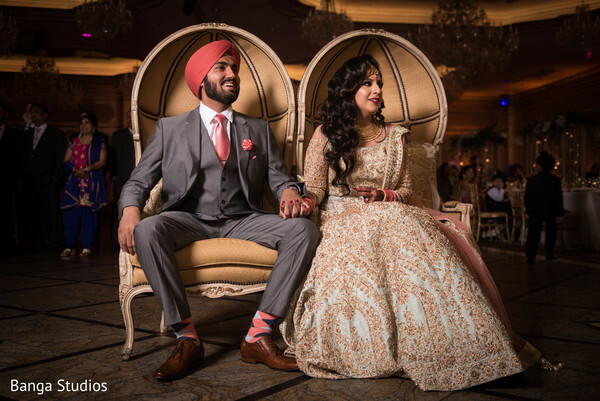 So you could say that these newlyweds' big bash was a blast! 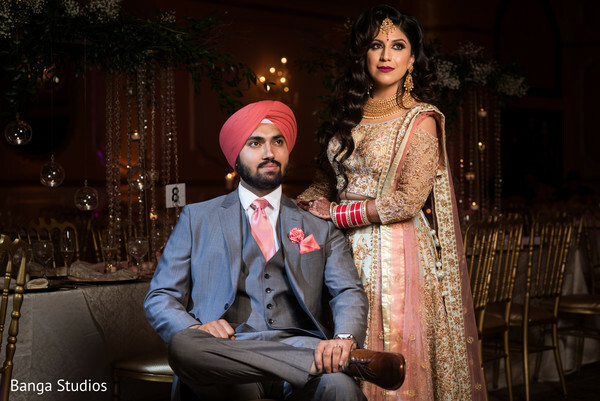 See our complete gallery for a deeper look of the special day!